If you've been to Brussels before, chances are you were there on a business trip. After all, only one-third of the 6 million people who visit Belgium's capital each year do so for pleasure. Of the tourists who visit the country, many skip over Brussels in their rush to see the scenic canals and cobblestones of nearby Bruges. But as locals will make a point of noting, there's much more to Belgium than Bruges. 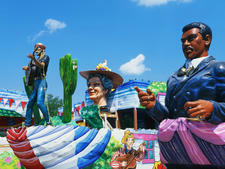 The city boasts it's "the heart of Europe" for its role as the capital of the European Union and its multiculturalism. Locals say that the March 22, 2016, terrorist attacks, which took place at Brussels Airport and a subway station that killed 32 people, were an act of extremist individuals and not indicative of the city as a whole. Indeed, a makeshift memorial to the victims features chalked messages of love and peace on buildings and on cobblestones in multiple languages and alphabets. The messages include "Love wins," "Je suis Bruxelles" and "Hart bove Haat." Visitors should move beyond Brussels' modern and somewhat sanitary government buildings of the Quartier European and instead dive deeper into into the historical heart of the city. In its intimate historic core, centuries-old houses hug narrow cobblestone alleyways, neatly dressed waiters serve lunch on the terraces along the Place du Grand Sablon, and the mighty Gothic spire of the Hotel de Ville soars above Grand Place, one of Europe's most magical squares. South of the center, you'll see the curving facades and wrought-iron balconies of the city's gracious Art Nouveau neighborhood, while to the north, you'll find the wide green lawns and the vibrant blooms of the Botanic Garden. The city has expanded its pedestrianized central zone, turning the area around the Place de la Bourse into a place for street acrobats and musicians to showcase their talents. It's easy to walk to most places you'll want to visit, but for those who need a ride, taxis are easily hailed. Art, history and culture are celebrated in more than 100 museums throughout the city, featuring everything from delicate Belgian lace to musical instruments and vintage cars. The newest offering is the Millennium Iconoclast Museum of Art, MIMA, in the Molenbeek neighborhood, which features different exhibits, mostly be street artists. The Royal Museums of Fine Arts of Belgium recently opened a unique exhibition of the work of Pieter Bruegel the Elder, with videos and displays allowing for a deeper look at the lost master's works. Just in case statues of peeing children aren't enough of a draw, here's perhaps the best reason to visit Brussels: With the businesspeople tucked away in the modern part of town and a good portion of Belgium's tourists fighting the crowds in Bruges, it's easier there than in most European capitals to find a quiet corner to call your own. Only river ships are small enough to fit through Brussels' canals, and they dock at either Heembeekkaai or the Beco dock. Though both ports are within city limits, only the Beco dock is a comfortable walking distance from downtown. Big ships dock farther away in Antwerp or Zeebrugge. 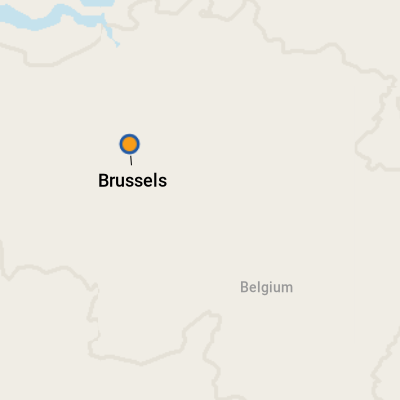 Train service connects both cities to Brussels. There's little to see at Brussels' ports, so hop on the metro system (buses are available at Heembeekkaai, while the Beco dock is near the Yser metro station) and head downtown. Antwerp's gorgeous cathedral and famous Diamond District make it worth a day trip if you've already been to Brussels. Trains run directly to and from Brussels and take about 45 minutes. Zeebrugge is a largely industrial port city that's mainly used as a jumping-off point for day trips to Bruges or Brussels. To get to Brussels, just head for the train station; the trip will take about an hour and 15 minutes, with a change of trains in Bruges. Liege is another city worthy of a day trip. About 1 hour from Brussels by train, this city of about 195,000 is tucked in the Meuse River valley. Locals will tell you there are two types of Belgium waffles -- Brussels and Liege -- and even those who live in the capital prefer the Liege version. Metro stations, museums and streets are often known by two names, one in French and one in Flemish -- so keep that in mind when asking for directions and navigating your way around the city. For instance, if you're looking for Grand Place and you find yourself in Grote Markt, you're in the right spot. Also be aware that most Brussels museums are closed on Mondays. On Foot: Once in the city center, it's easy to walk between Brussels' main attractions -- just remember to pack comfortable shoes for navigating the cobblestones. By Metro: When you get tired of walking, hop onto Brussels' efficient Metro system, which operates subways, trams and buses. You can purchase single ride tickets or an unlimited day pass. By Taxi: There are many taxi stands throughout the city, particularly near major train stations and hotels. You can also hail cabs from the street, but it may be difficult to find one during rush hour. By Car: We don't recommend using a car in Brussels, as navigating the crowded streets can be more trouble than it's worth, and efficient train service is available both within the city and to most of the surrounding cities and towns. That said, Auto Europe, Avis and other major rental agencies offer multiple pickup locations in Brussels. The local currency is the euro. Visit www.xe.com for up-to-date conversion rates. ATMs are plentiful in the city center. Brussels is a town of many tongues. Nearly all street signs are in both French and Flemish (a variant of Dutch), Belgium's two official languages. English is also widely spoken. Belgium's cuisine is best known for a number of signature dishes: moules (steamed mussels), frites (fries, dipped not in ketchup but mayonnaise) and, of course, gaufres (waffles), which are warm and delicious whether served with powdered sugar, chocolate, fruit or ice cream. You'll also want to save room for handmade chocolates and Belgian beer. Those who fall in love with Mannekin Pis will find the little boy immortalized in miniature chocolate, metal and ceramic form and adorning many product labels. If you really, really love Mannekin Pis, go home and get online as several companies sell lifed-size versions of the statue. Clothes are not included. Belgium has a well-deserved reputation for its beers, many of which were originally -- and still are -- brewed by Trappist monks. Whether your tastes tend toward a strong Flemish sour brown ale, a yeasty wheat beer or a fruity lambic, you're sure to find something that suits. 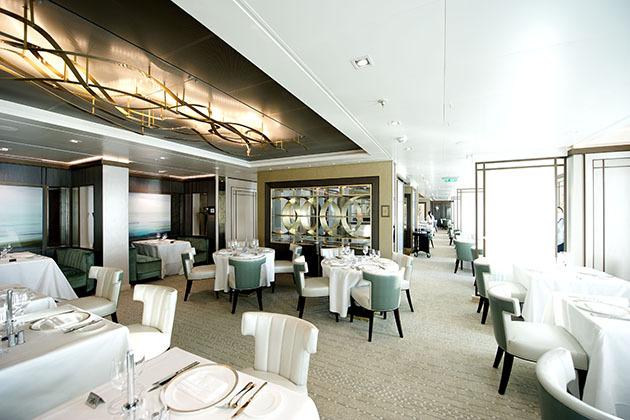 These eight cruise ship restaurants are sure to delight any foodie cruising out of the United Kingdom. Where Can I Find Locations From "The Guernsey Literary & Potato Peel Pie Society" on a Cruise Ship Excursion? 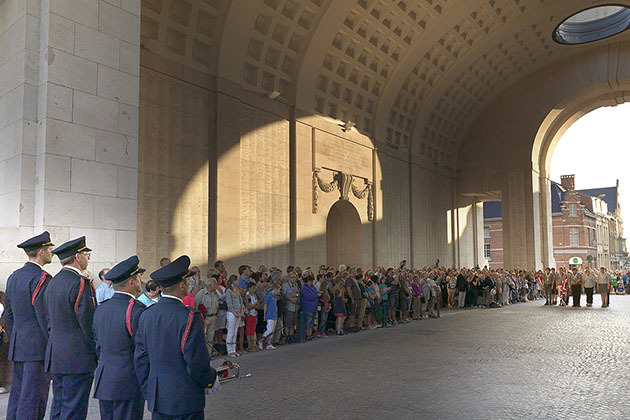 Saga's Ypres and the Last Post tour is an optional afternoon and evening excursion available on itineraries that call at Zeebrugge.